February is a day longer this year, but the shortest month would have had more than enough good concerts in any case. Here are the ten we think are the most important, plus some freebies and two dance events that are must-see. Opera Lafayette continues its work excavating musical rarities, with two performances of Emmanuel Chabrier's one-act opérette Une Éducation Manquée (February 2 and 3), presented in the Kennedy Center Terrace Theater. Bernard Deletré directs the staging, with costumes by Patricia Forelle. 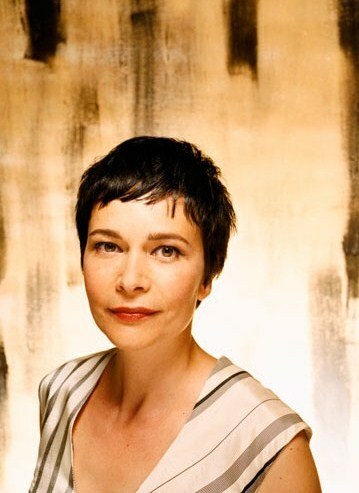 The French connection continues the following weekend with a rare local appearance by French soprano Sandrine Piau, in a recital with pianist Susan Manoff (February 7) at the Phillips Collection. The program will include songs by Debussy, Poulenc, Wolf, and others. Leah Crocetto made an excellent Washington National Opera debut in Dialogues des Carmélites last season. The American soprano returns to the area for a solo recital with pianist Mark Markham (February 26), presented by WNO in the Kennedy Center Terrace Theater. Her program will include art songs and opera arias. Mid-month Washington Performing Arts presents the vocal ensemble Roomful of Teeth in a program centered around Partita for 8 Voices, the piece that won its member Caroline Shaw the Pulitzer Prize in 2013. The concert, in collaboration with the American Contemporary Music Ensemble, also features music by Purcell and Gavin Bryars, at the Sixth and I Historic Synagogue (February 13). The regular series by the Emerson Quartet offers a concert of quartets by Haydn and Beethoven (February 6), at the National Museum of Natural History. The program combines two quartets from the former's op. 76 and two from the latter's op. 18. In the infancy of Ionarts, the Juilliard String Quartet, then in residency at the Library of Congress, was often reviewed in these pages. Washingtonians have gotten out of the habit of hearing the group all the time, which is now in a new formation, with Joseph Lin and Ronald Copes on violin and Roger Tapping on viola. This season will be the last for veteran cellist Joel Krosnick, who will be replaced next year by Astrid Schween, so their free concert at the Library of Congress (February 27) will be a valedictory lap. They will play quartets by Schubert, Carter, and Beethoven. The free concert series at the National Gallery of Art is under new leadership, and the last days of February will feature an entire festival of concerts devoted to all of the instrumental trios of Beethoven (February 25 to 28). Performers featured include members of Inscape, the Mendelssohn Piano Trio, the DEKA Trio, and the North Carolina Symphony Trio, concluding with the NGA Orchestra and West Garden Trio performing Beethoven's Triple Concerto. 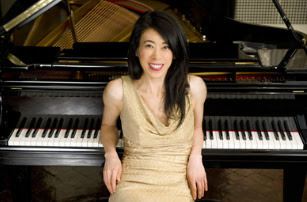 Pianist Jenny Lin is an Ionarts favorite, known for her ferocious technique and her daring programming choices. She plays a free concert on the Steinway series at the Smithsonian American Art Museum (February 14). Her program this time, The Composer-Pianists: The Art of Transcriptions and Arrangements, sounds right up our alley. András Schiff has been playing the three final sonatas of Haydn, Mozart, Beethoven, and Schubert, beginning last March. We had to miss the middle installment of the series because of health issues, but the final recital should be the best (February 24), presented by Washington Performing Arts in the Music Center at Strathmore. We are fans of Steven Osborne's recordings, so it is easy to recommend the British pianist's next recital at the Phillips Collection (February 28). The program includes Schubert (Impromptus), Debussy, and Rachmaninoff (Études-Tableaux). Pianist Marc-André Hamelin headlines the concert by the Budapest Festival Orchestra, presented by Washington Performing Arts in the Kennedy Center Concert Hall (February 15). In addition to Liszt's first piano concerto, Iván Fischer will conduct Weber's overture to Der Freischütz and Prokofiev's fifth symphony. We never miss the chance to see the Mark Morris Dance Group, which returns to the GMU Center for the Arts this month (February 19 and 20). The program features The (Bach's Brandenburg Concerto No. 1), Whelm (Debussy piano pieces), and Cargo (Milhaud's La Création du Monde), all but the last new to the Washington area. The annual visit by the Mariinsky Ballet features something a little bit unusual, Marius Petipa's choreography, with revisions by Konstantin Sergeyev, to Glazunov's Raymonda (February 23 to 28), in the Kennedy Center Opera House.